The food in Portugal doesn’t have the same high profile as the food of its neighboring countries such as Spain, Italy or France. Before leaving for Portugal, we had little expectations about the Portuguese cuisine. The little we knew was about codfish and Porto wines. After a few weeks in the country, we’ve discovered much more than codfish and Porto. There is a lot to be said about the food in Portugal. 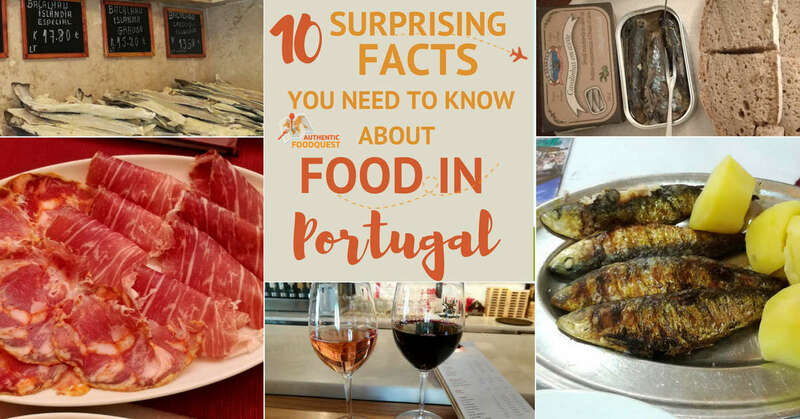 Let’s start here with some of the 10 surprising facts you need to know about the food in the Portugal. 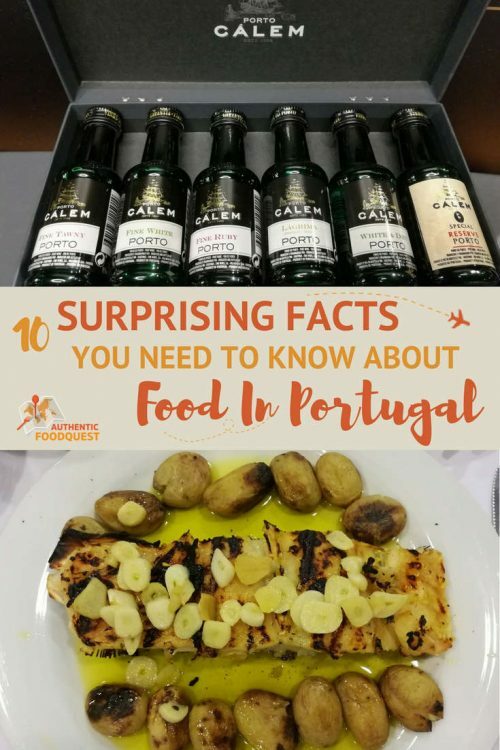 #1- The Food in Portugal is Simple and Delicioso! 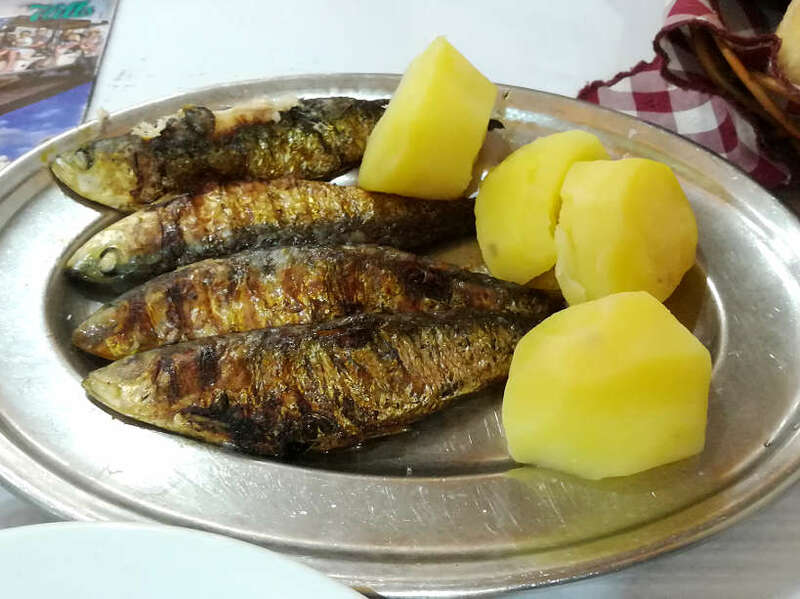 If we were to describe the food in Portugal in a few words, we would say that Portuguese food is simple and delicious or delicioso as they say in Portuguese. A lot of the dishes, from seafood to the meats, are grilled or prepared very simply. You will not find complicated sauces or sophisticated dishes. There are a few ingredients used and everything is impeccably prepared. 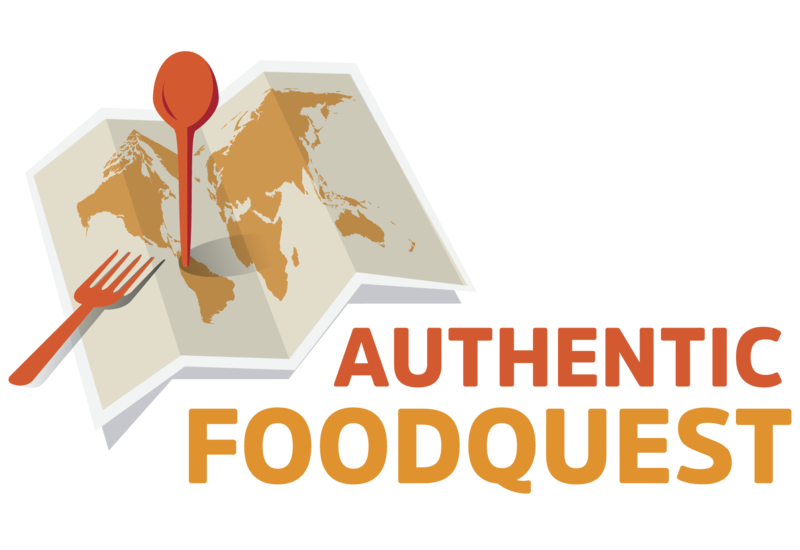 Here’s a list of authentic restaurants in Lisbon to get you started. You will find most meals prepared with a lot of olive oil, and potatoes cooked in a variety of ways. You will also notice that the Portuguese cook with only what is in season, no more, no less. Savor the food in Portugal, that is simple, fresh, and tasty. The simple and delightful Portuguese cuisine is one of the country’s greatest pleasures. As mentioned above, we have been consistently impressed by the use of simple ingredients and the delicious food. 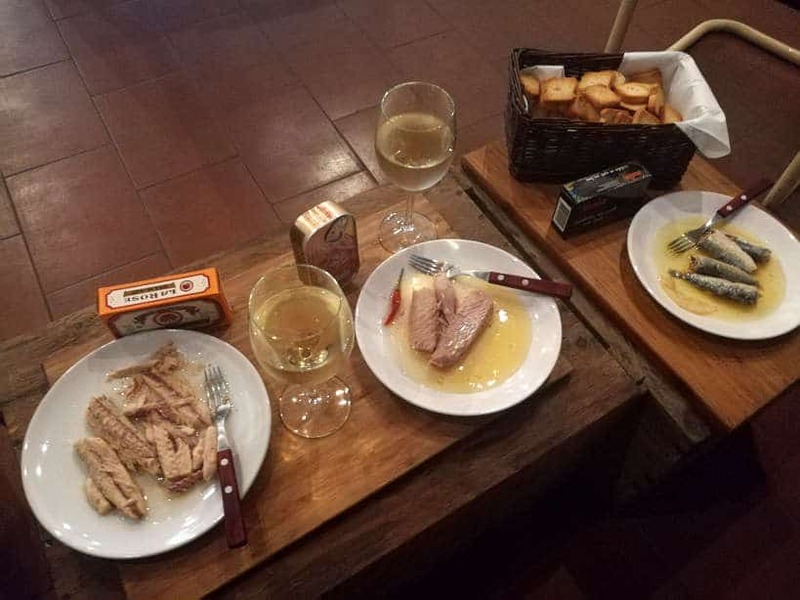 On food tours we took in Lisbon, and again in Evora and Porto, we were shocked to learn from our different guides, that the Iberian ham in Portugal is in fact as superior as the world famous Spanish jamón ibérico . Unfortunately, overshadowed by Spain, it’s famous culinary neighbor, Portuguese ham doesn’t get the same recognition. Portugal and Spain share the same terrain across borders, yet Spain gets all the glory. Olive oil follows a similar trajectory. 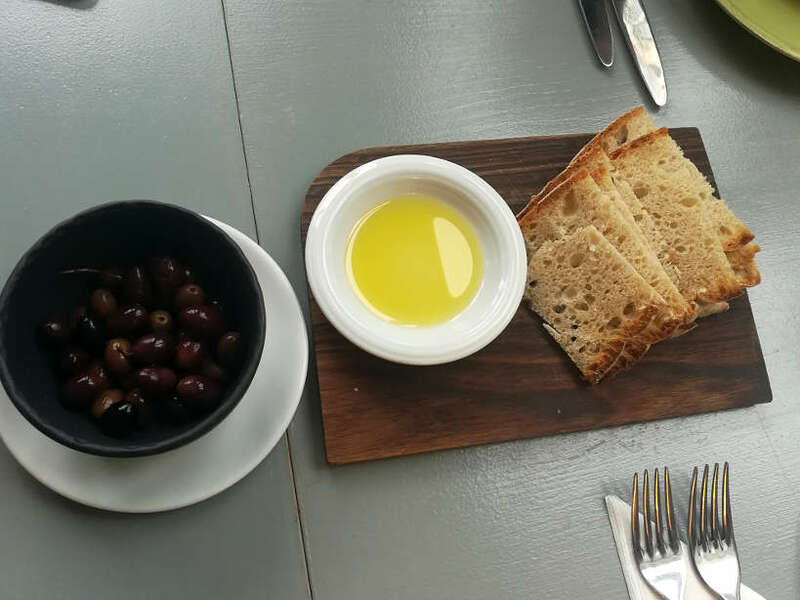 Portuguese olive oil is among the best in the world, but it does not have worldwide recognition. The Portuguese have a rich heritage in food but much of the dishes are not well marketed and promoted globally. Even our food tour guides acknowledged this fact and attribute it to a sense of Portuguese humbleness. Prepare to be surprised by the remarkable quality of the food in Portugal. More than a simple traditional dish, codfish or Bacalhau is a national obsession. 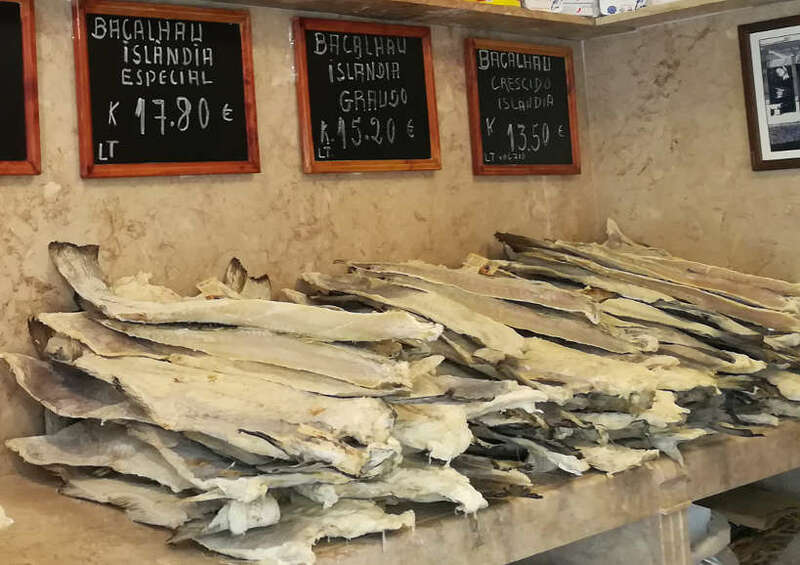 The Portuguese love it so much that there are over 365 different ways to prepare bacalhau – one for each day of the year. What’s interesting is that the fish actually comes from the cold waters of Norway, Iceland and Newfoundland, Canada. 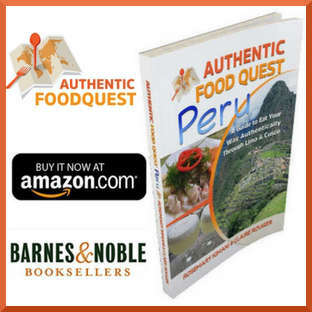 As early as the 15th century, during the time of great navigation, when Portuguese sailors traveled the world, they needed food that would not be perishable and that could withstand long journeys. Codfish was discovered near Newfoundland and when dried and salted, it traveled well to Portugal. You will find codfish prepared in many different ways. Bacalhau à brás, is very popular and one of our favorites. It is made from thin strips of codfish mixed with onions, and thin strips of potatoes bound by eggs. Often topped with olives and parsley for flavors. Another snack style preparation that we also enjoyed is the pataniscas de Bacalhau. These are codfish fritters which are made with eggs potatoes, onion and parsley and then lightly fried. If you love fish, you will enjoy trying different recipes and preparation styles for codfish. 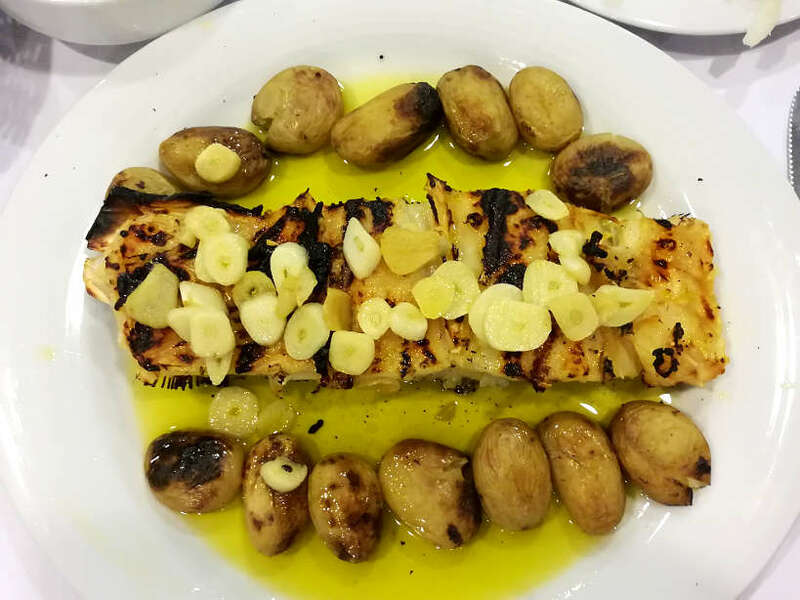 Plan to have fun experiencing Portugal through bacalhau. The huge portions sizes surprised us in Portugal. Whenever we were presented with a dish were constantly taken aback by the size. Outside of Lisbon, the portions seem to increase in size. The one Portuguese word you quickly learn is dose or portion size. Interestingly, many menus in Portugal have a ½ or meia dose option and in some cases even a ¼ dose option. Learn the word dose, and be prepared for the huge portion sizes. Plan to share or choose the ½ dose option where offered. There is more to Portugal than Port wines, the red and white wines are amazing too. There are many wine producing regions, including Lisbon, Alentejo and Douro valley, all regions we visited. Be warned, some of the wines especially from Alentejo region have high alcohol content due to the constant sun exposition. You will find bottle easily at 14% degree of alcohol. 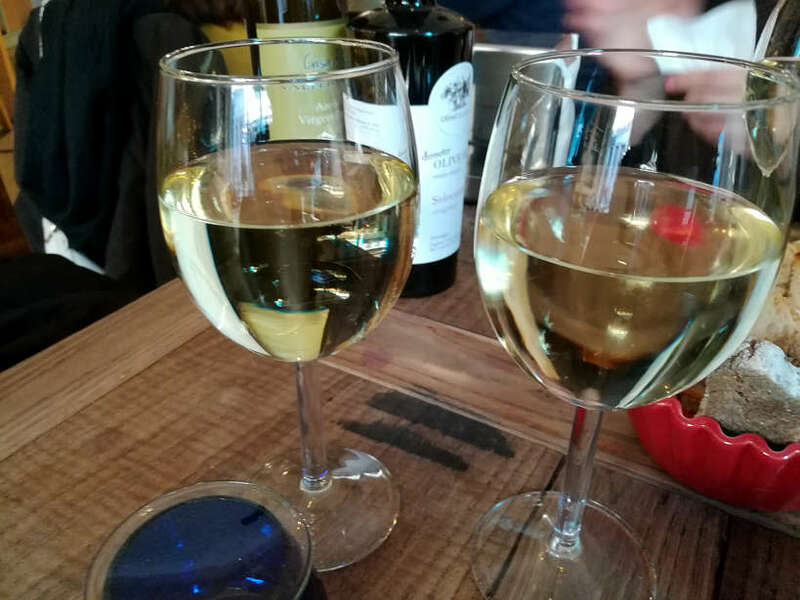 What surprised us the most, was to learn that it not unusual for a wine to have 6 to 8 different grape varieties mixed within a single a bottle. In the North, you will find the famous Vinho verde. This wine can be slightly sparkling, coming from the short fermentation period of the wine. It is surprisingly light and fruity. 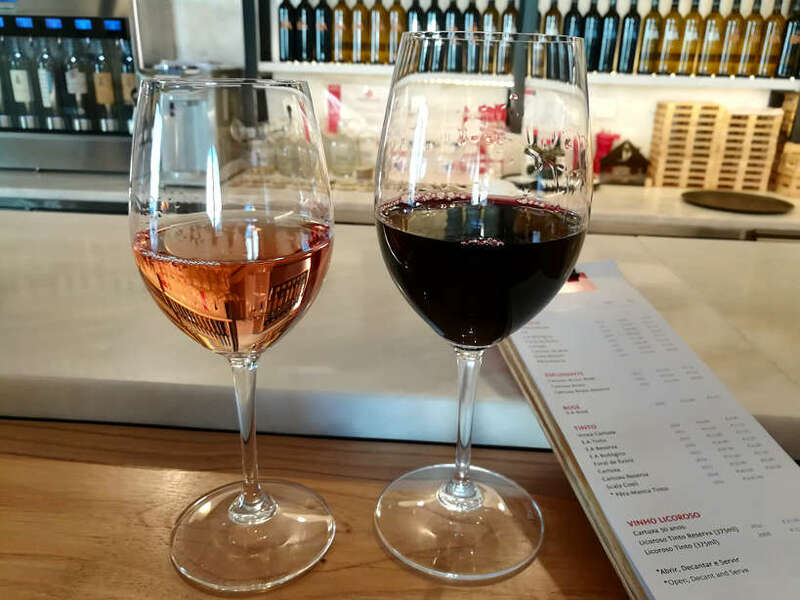 Overall, Portuguese wines are easy to drink and a great way to pair with the local food specialties. Eating canned fish is not reserved only for the days when there is nothing left to eat. In Portugal, the best fresh fish is canned for future consumption. You will find sardines, mackerel, tuna and even codfish available in a can. The canned preparations are also plentiful. The most basic sauce you’ll find the canned fish in is olive oil. You’ll also find interesting preparations using different spices such as curry, chili, peppers as well as vegetables such as red pepper and chickpeas. Many restaurants now offer canned fish to as a starter on their menu. This food trend started in Lisbon. 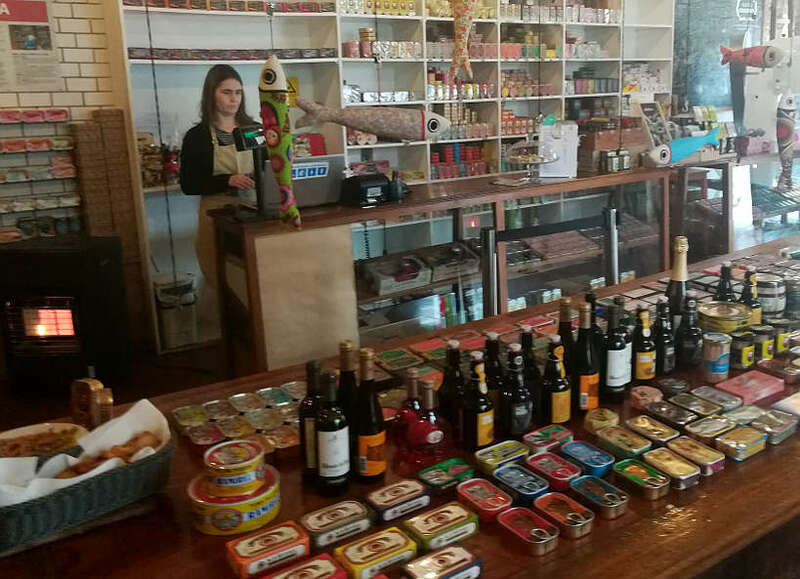 The best way to start your canned fish exploration to visit the loja das conservas or house of canned goods in Lisbon. This shop represents the producers of canned fish from all over Portugal. You will see a brief history of each major producers with the corresponding cans to choose from. They also organize tasting so you can sample a few cans to help you decide what to purchase. There is more to beers than the national brands – Sagres and Super Bock beers. The beer scene in Portugal has been really preserved from foreign invasion due to the nationalist years during Salazar dictatorship years. In the last ten years, the craft beers scene has been burgeoning. 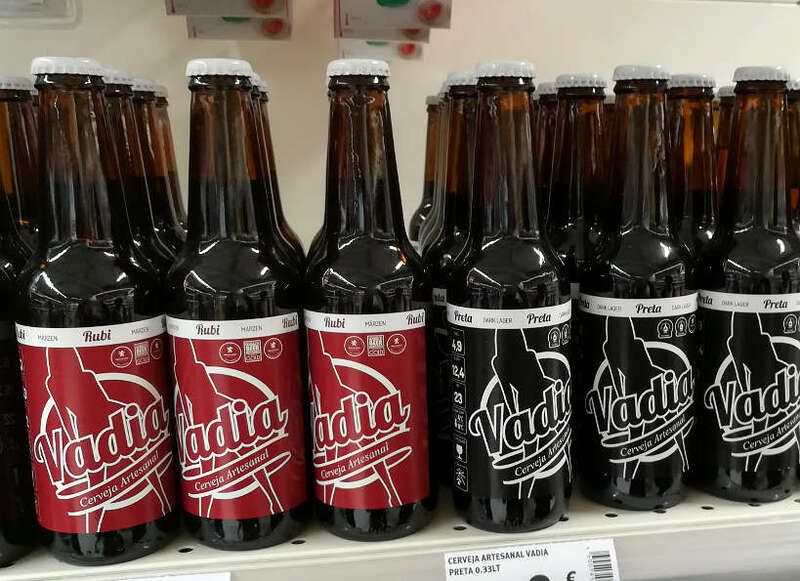 You will find new craft beers offered at local restaurants and some also sold at the supermarket, like the Vadia brand. Many new restaurants, concepts and trendy bars will offer local craft beers on their menu. As soon as you sit down at any restaurant, you will be presented with an array of treats to tempt you before your meal. The selection will likely include slices of local cheese, bread, and olives. Be warned before digging in that these delights are not free. If you choose to have even just one slice of cheese, you will be charged for the basket. The same goes for the bread and olives. Before you start absently eating the little bites, realize they are not complementary. While they are not expensive, about €1.0 to €2.0 euros, you might want to resist the temptation due to the already huge portion sizes. On the other hand, if you don’t touch anything, nothing will be added to your bill at the end. Cafés and Pastelerias (literary pastry shops) are scattered all over all over the country. The Portuguese have a unique culture built around coffee breaks often accompanied with a sweet or savory snack. Pastelerias serve more than coffee and little bites. They are popular for lunch where you can get the prato do dia or dish of the day, at very reasonable prices. Outside of lunch, they are popular venues for the popular late afternoon snack referred to as lanche. 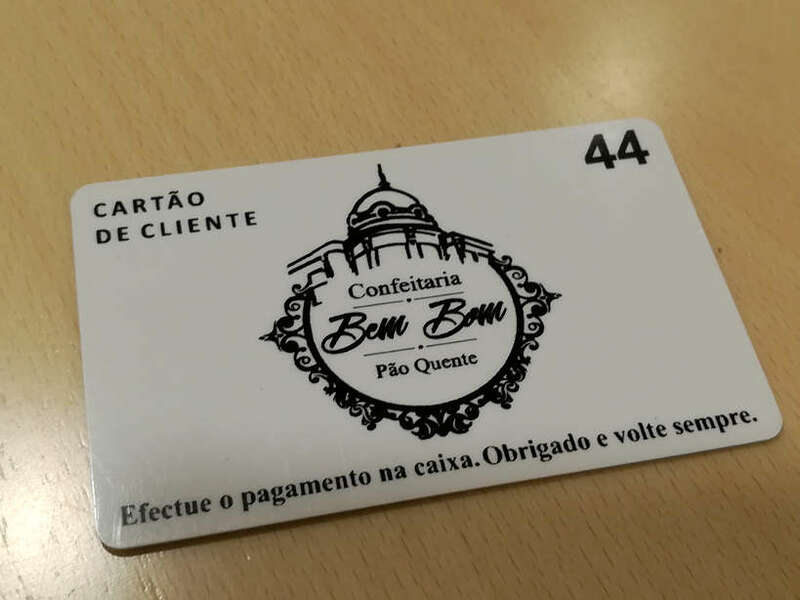 When you order at a Pasteleria, your server will place a card on your table which you will use to pay your bill at the end. So, instead of a bill, everything you ordered is uploaded onto the card and that is what you give the cashier to settle your bill. Don’t be surprised when your server places the customer card on your table. Most people are familiar with the very famous pastéis de nata, which loosely translates in English to Portuguese custard tarts. Beyond this dessert, what surprised us the most was how yellow and “eggy” the desserts in Portugal are. When you bite in some of the desserts, it feels like slurping into an egg. The overuse of eggs in desserts is actually linked to religion. Eggs whites were used in convents to starch the priest clothing as well as the nun’s robes. Left with the egg yolks and time to kill, the nuns had to get creative. Making the most delicious and famous desserts became a tradition in Portugal. As a result, many desserts are yellow in color. They are made with egg yolks and sugar. 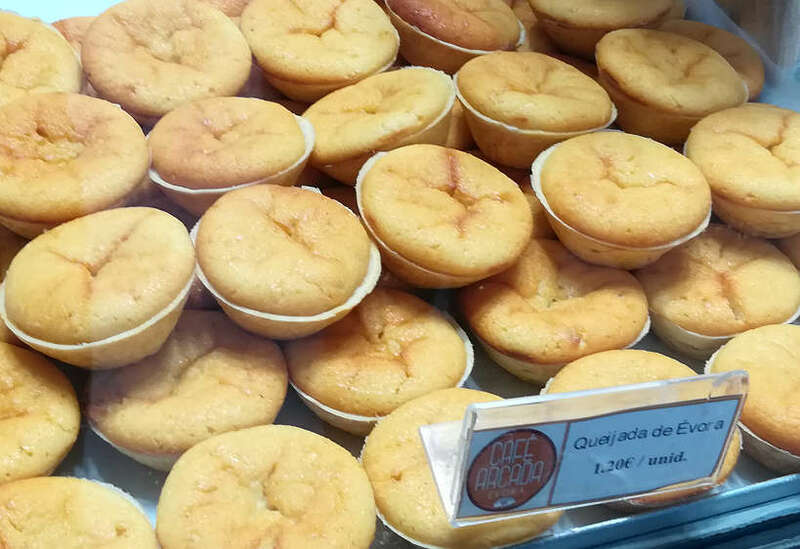 Desserts like Pao de Lo, Queijadas, Toucinho do céu, and more, are native from the convents. This is why they are called conventual desserts. Nowadays many cities compete with each other from town to town for the best version of these conventual desserts such as the queijadas de Sintra vs. queijadas de Evora..
And this might also explain why the Portuguese have such a sweet tooth! While writing this article about the surprising aspects of food in Portugal, we cannot leave out two very important aspects surrounding the local food culture. First, the warmth and friendliness of the Portuguese. And, secondly, how to burn off those extra calories. Contrary to what you may think or have heard, the Portuguese locals we have met have been some of the most friendly people. At first impressions, they may seem aloof but in reality, they are very open, curious and incredibly warm. 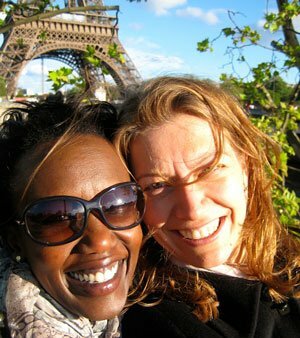 When we travel, we prefer to stay with locals through Airbnb to have a deeper connection to the local culture, food and people. While in Lisbon, our Airbnb host, out of the blue, graciously offered to teach us how to make a typical Portuguese dish called açorda, which is a type of bread soup. Not only did we have an amazing cooking experience, but we also enjoyed the meal on her elegantly decorated dining room table, using her fine china and not the everyday dishware. Read more about our experience with this Portuguese family where we felt incredibly special and genuinely welcome. One thing that also surprised us is the number of languages the Portuguese speak. While attempting to speak Portuguese, we’ve been constantly surprised when we get a response back in near perfect English. If English is not spoken, you can count on the Portuguese to speak either French or Spanish, or sometimes both. On your travels to Portugal, you will be welcomed warmly and understood. Portugal is hilly. Every city we visited requires comfortable shoes and stamina to walk up and down. Lisbon, in particular, is pierced together by steep hills and narrow streets. It is said that like Rome, Lisbon, was built on seven hills on the banks of the Tejo, the Tagus River. Though today, the city of Lisbon stretches way beyond that. Navigating the city is an unavoidable cardio exercise routine. Walking through the city is walking up and down numerous times. The biggest advantage of this obligatory exercise routine is that you get to work out all the delicious food. As you walk around, beware of the beautiful pavements. As you look down as you walk around, you will be enthralled by the beautiful and creative Portuguese pavements. 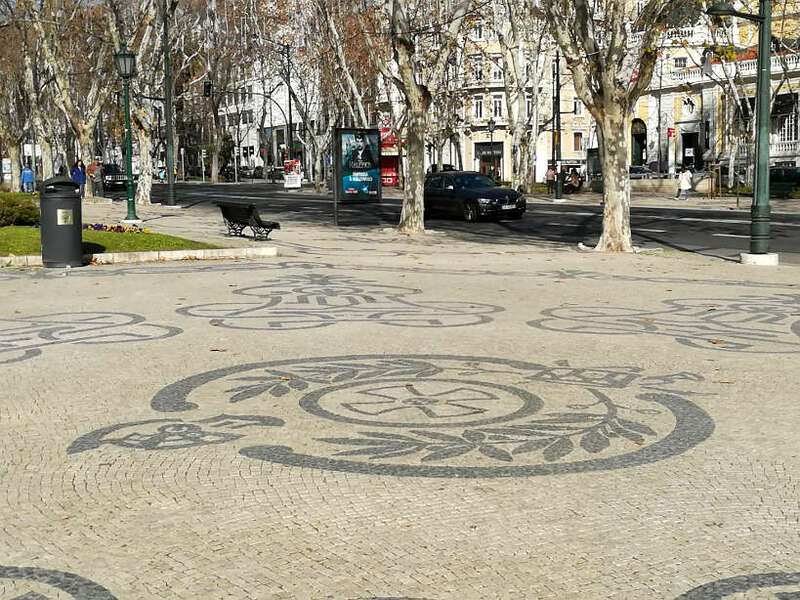 Known as calçada, these stone pavements are arranged in patterns or images like mosaics. The calçada tradition dates back to the Romans who were experts in the construction of stone pavements and the use of decorative mosaics. What makes the pavements so dangerous is how uneven they can be. You will find potholes and unfilled gaps all around. And when it rains, the pavements can become dangerously slippery. For a safe and comfortable experience, bring a good pair of walking shoes and prepare to work out your meals. 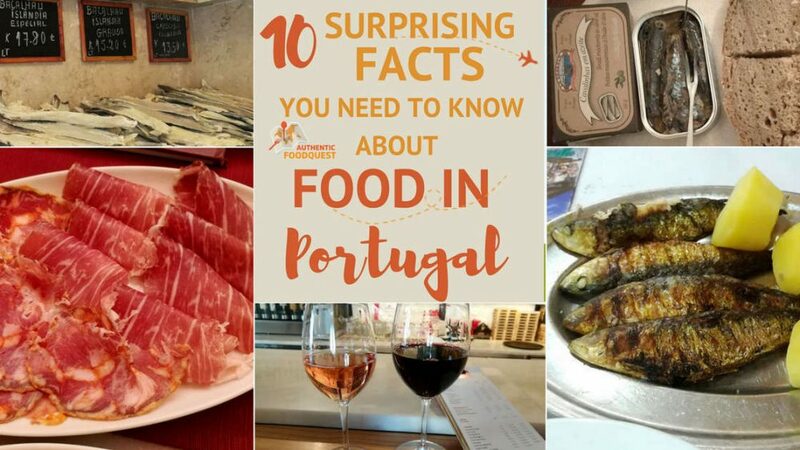 With these 10 surprising facts about the food in the Portugal, we hope to whet your appetite and pique your curiosity to learn more about the traditional Portuguese food. Indeed, the food in Portugal is much more than codfish or Porto wines. Portugal is a country with rich natural resources and it is reflected in the food and drinks. Enjoy the diversity of fish and seafood. Delight in the delicious desserts with historical and religious ties, sip on the unique wines and Port and enjoy the friendly and warm hospitality. As we dig further into each region, we’ll bring you some of the local specialties to enjoy and where to find them. Stay tuned for more about the food in Portugal! Have you been to Portugal? What was your favorite food in Portugal? Totally agree 100% – what’s your favorite place for pastel de nata ? Portugal has been a delicious discovery for us and we were just as surprised to learn the same thing about the ham and olive oils. You would love the burgeoning beer brands. Time to head back to Portugal 🙂 Cheers! We just loved the food in Portugal too! When we travel we often practice HAM – “half a meal”. This means we order one dish and share it. If we are hungry, we order more. Perfect in a spot like Portugal with huge portions. And you leave room for desserts! Pasties da nata are my new favourite treat! We were surprised at how little codfish we ate. But then we are seafood lovers and there was so much seafood everywhere. I at so much octopus I was sure I would grow an extra arm by the end of 4 weeks in Portugal! Thanks for taking me back to Portugal for a brief moment. Love your “HAM” idea. This is totally necessary in Portugal. You are right the fish and seafood options go way beyond bacalhau. We’ve eaten plenty and continue to be stunned by the variety of cooking preparation styles for the codfish. Room for dessert is essential as there are so many delicious treats to try. Glad you enjoyed the trip back to Portugal. Did you have a favorite dish? Cheers. You just disproved the idea that Portuguese food is simple and nothing to get excited about. I have had the pleasure of eating Bacalau or Cod in the US and Mexico but would love to try the dishes you describe at about 1/4 dose! Eggy desserts sound delicious too. It’s too bad Portuguese food is not well known. The food is delicious and worth experiencing. I’m curious as to the preparation of the codfish in the U.S. and Mexico, I suspect it is totally different than in Portugal. In any case, the Portuguese cuisine is worth the experience. Thanks for stopping by!! 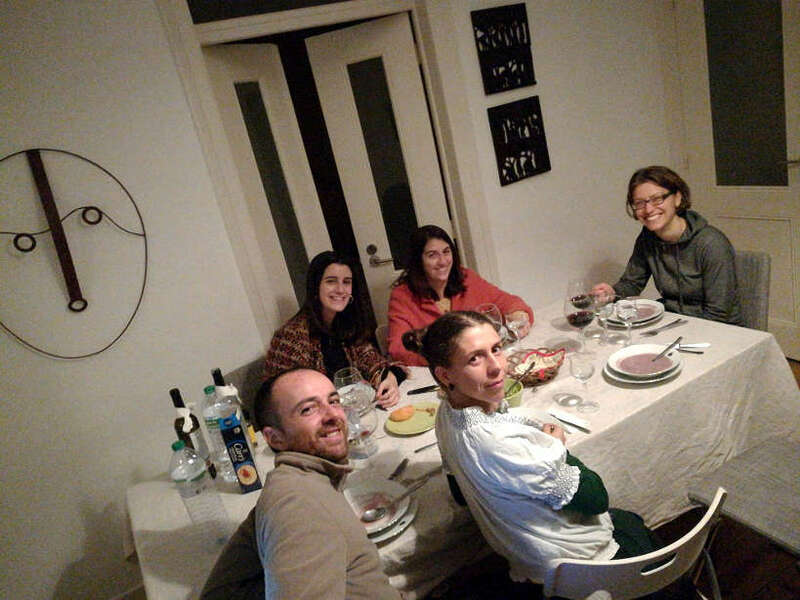 Clare, Thanks for the post on Authentic cuisines from Portugal. Authentic foods are not common in restaurants and they are modified version of the cultural food. 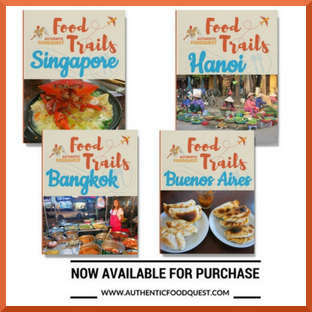 Thanks for education us on authentic cuisines from the globe. You are most welcome Lindsay. 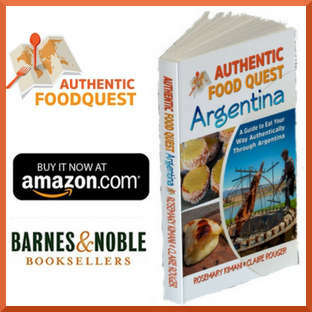 So glad you enjoyed discovering Portuguese cuisine through this article. Hope you can taste or better yet visit the country and experience it for yourself. Thanks for stopping by! 365 ways to prepare Bacalhau! Unimaginable. The pataniscas de Bacalhau look to my taste. I’m not usually a fan of canned fish, but maybe I won’t mind so much if they all come in olive oil. I always knew Portugal would be a great food destination. Now you’ve confirmed it. Thanks Linda, and great to read that the article has confirmed what you already suspected about Portuguese cuisine. The canned fish is incredible and full of flavor. It’s hard to imagine, but it is really exceptional. Hope you get to visit Portugal soon and try the incredible Bacalhau! Thanks for stopping by. I had never given much thought to Portuguese cuisine, but it sounds really tasty! Love that they focus on using ingredients that are in season. Interesting that some of their specialities like ham and olive oil aren’t more recognized internationally. I would love to try the Balcalhau. Amazing that there are over 365 ways to prepare it! 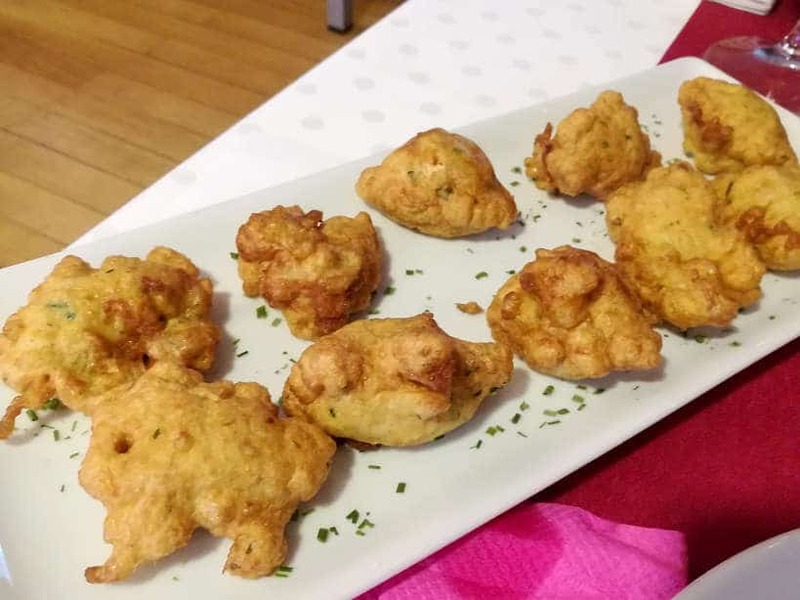 The Balcalhau fritters look especially yummy, but I do love anything deep fried 🙂 Of course the wines there would be amazing, but cool to know there is a budding craft beer scene too! I love trying craft beers when we travel. Interesting to learn about the reason for the use of egg white and yolks in desserts there. I love Portuguese egg tarts, which I first tried in Hong Kong! This has definitely whet my appetite for visiting Portugal! Thanks so much Jen, for your comments. It sounds like you would love eating your way through Portugal. I can guarantee that you will not be disappointed by the various bacalhau preparation styles. 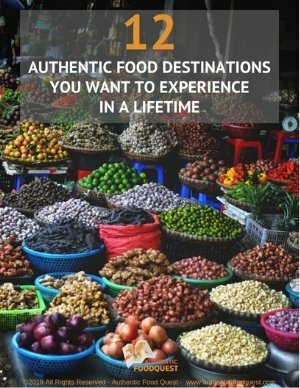 There is so much to delight in the local cuisine and we hope it becomes top of mind for everyone. Thanks for stopping by!! OMG I need to go to Portugal! I know Spanish food really well so would love to try some of the neighbouring specialities to see how they compare! The codfish fritters are amazing, and I would love to try Portuguese Iberian Ham, my mouth is watering just thinking about it! If you already know Spanish food, there is no doubt you will find some familiar dishes, with a different name. 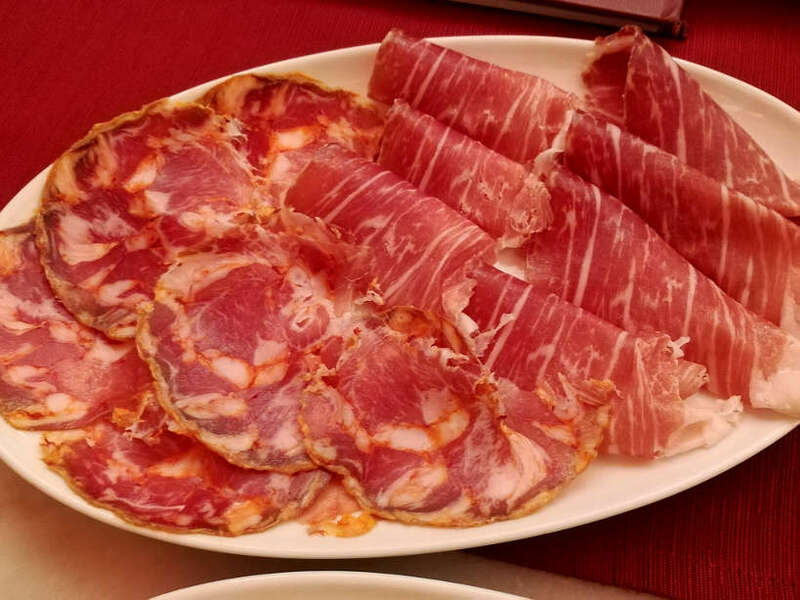 Since the countries are neighbors, on your next trip, spend a few days in Portugal and dive into the cuisine.That Iberian ham is worth it!! Spain really does love them some ham lol. I hope to get to Portugal this summer and give it a try. I also want to give my sweet tooth a whirl haha. Indeed, Spain does a great job with their ham, but Portugal as well. Excited for you that you planning to visit Portugal this Summer. You will love it including all the delicious food. You’ll find plenty of sweets to tempt your taste bud 🙂 Cheers! Never been to Portugal but would love to one day. I’ve had enough Porto and Vinho Verde to convince me that it is a food destination to check out. This post reinforces that thought! Thanks for sharing! Since you are already familiar with Portuguese wines, the food is the next step. Portugal is worth exploring for the food and I hope you get a chance soon to visit the home of Porto wines and Vinho Verde! In the meantime, a virtual “cheers” with Vinho Verde. I’ve been wanting to go to Portugal just for the food! It is surprising to learn that the portion size is big there. I will need to make note of it for my future visit – to order 1/2 size or 1/4 size!!! That’s wonderful to read that you are planning to visit Portugal for the food. That’s not something we hear often. Plan on sharing or getting half portions and you will enjoy eating your way through the country. Please let us know if you have any questions when you prepare to go! !